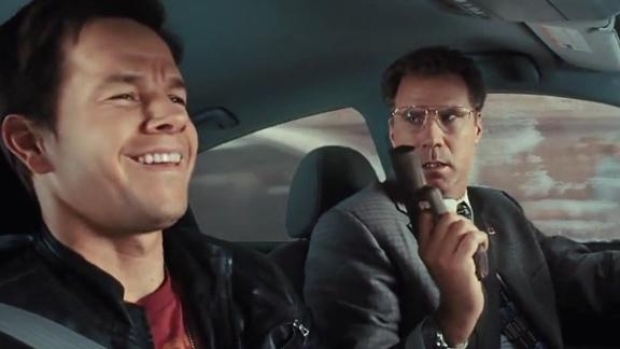 Garcia Bernal and Luna Reuniting for Will Ferrell's "Casa de Mi Padre"
We'll admit that when we first heard about Will Ferrell's Spanish-language movie, we were less than enthused. The whole thing reeked of vanity project. But with the addition of "Y Tu Mama, Tambien" co-stars Gael Garcia Bernal and Diego Luna to the cast, we're having second thoughts. "Casa de Mi Padre," to be directed by Matt Piedmont ("The Carpet Brothers," "The Joe Buck Show"), will star Ferrell "in an overly dramatic telenovela style and feature English subtitles," according to The Hollywood Reporter. Luna will play Ferrell's brother, Garcia Bernal will be a family friend, and Genesis Rodriguez, a real-life telenovela star, will play his love interest. The film will be produced by Ferrell's Gary Sanchez Productions, which he co-founded with director Adam McKay. Sanchez has already one hit this year in "The Other Guys," "The Virginity Hit" has a chance to be a stealth hit and/or college circuit favorite and they're close to casting Jeremy Renner and Noomi Rapace in the action-comedy "Hansel and Gretel: With Hunters." Ferrell appears to be getting his mojo back following a few lean years. "The Other Guys" was much funnier than we'd expected, our hopes are very high for "Everything Must Go," co-starring Rebecca Hall and based on a Raymond Carver story and the new "Megamind" trailer that came out today has us thinking maybe that movie won't be a bust after all.